World War II and the post-War years took a heavy toll on The Navy, the Marines, and the Merchant Marine. 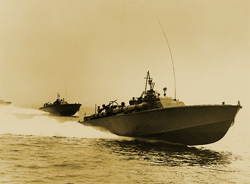 Three of the most under-reported and underrated services, the sea-going services of World War II were far more difficult to replace than, for example, Army Infantry troops, their support troops, and Army Air Corps support personnel. As a consequence of this, all sea-going personnel recruiting programs, nurse candidate recruiting, and pilot recruiting became three of the most ambitious recruiting efforts of the era--especially the post-War era. Note that by the above, we don't mean to discount the heroic sacrifices of the other service branches, their personnel or the quality of their personnel. But The Navy, the Merchant Marine, the various Nursing Corps', and pilots for the various services were always in high demand--before, during, and after World War II. But moreso, after the cessation of conflict in World War II. While there were numerous other such programs throughout the era, the above are fairly representative of their scope and variety. 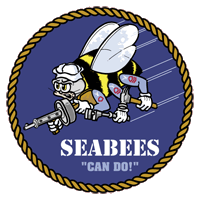 The majority of these programs were produced or co-produced by the Navy Department or The Department of the Navy. The co-produced programming aired over commercial networks as well as being transcribed for distribution through the Armed Forces Radio Service (AFRS) and the Armed Forces Radio and Television Service (AFRTS). 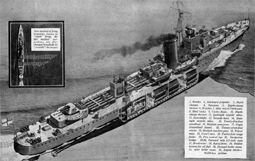 The programming itself, as might be apparent from the titles alone, were a mix of variety (music, big band, and featured singers) and 'message' programming consisting of mostly docudramas or dramatic reenactments of many of the more heroic and emblematic moments throughout both Naval History and World War II in particular. For recruiting purposes, name bands, popular singers of the era, and tales of stirring naval stories proved the most effective recruiting vehicles of the era. Dramatic reenactments of Navy History, World War II, and Korean War exploits generally appealed to both targeted candidate recruits and Homefront listeners equally. These were the types of programs that proved the most successful and compelling as commercial programming candidates of the era. Now Hear This was one of the better produced, written and performed docudrama productions of the post-War era. Co-produced by Navy Recruiting and NBC, the east-coast productions featured some of the era's finest east-coast talent. 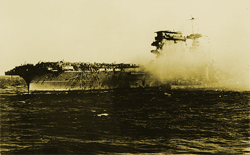 Well-written, directed and paced, the series provided as many as twenty-one highly compelling vignettes of naval exploits, punctuated by one or two Navy recruiting messages. As indicated in the Billboard review below, the reviewer found the premiere episode, Fire At Sea, equally well-dramatized, performed and written. 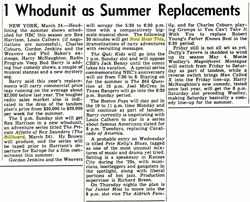 Initially conceived solely as a Summer replacement of Mr. and Mrs. Blandings, with the popularity of Now Hear This, the program was extended beyond its Summer replacement run for seven more weeks of programming in some NBC markets. On the east coast, for example, Now Hear This continued on in the 5:30 p.m, Sunday timeslot through November 11, 1951, while in the midwest, the 4:30 p.m., Sunday timeslot was replaced with the TV and Radio simulcasts of Martin Kane, Private Detective, starring William Gargan, then Lee Tracy in the starring role. 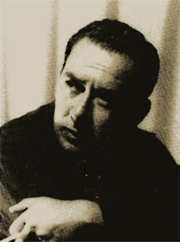 Mutual had aired Martin Kane, Private Detective as a Radio program only up until June 24, 1951. NBC then took the series over both Radio and Television beginning with the Summer and Fall of 1951. There's no question that Now Hear This was an effective recruiting message during the Korean War era--and beyond. The series portrayed Navy personnel with both a very human and very inspirational touch, and in a perfect balance of each. Promoted as actual stories based on the personal experiences of the Navy personnel that embodied the great traditions of The Navy, the series more than met its portfolio. These were dramatized, first-person accounts of naval experiences. As such they presented a far more visceral and personal impression of each naval fighting man's fears, self-reflection and motivations. It was an inspired touch. With the majority of the dialogue so personalized and intimate, the scripts came alive to equal the most compelling Radio drama of the era. This was a tribute to both the production staff and the performers enacting the scripts. This brief series, often overlooked in the vintage Radio community stands as the equal of the Peabody Award winning The Man Behind the Gun. Now Hear This is one of vintage Radio's overlooked and underappreciated gems. Run Dates(s)/ Time(s): 51-06-24 to 51-11-11; NBC; Twenty-one, 30-minute programs; Sundays, 5:30 p.m.
4:30 p.m.--Now Hear This (WIBA): new series based on fact files and personal experiences of navy men and women. WRC--5:30. "Now Hear This," new drama series based on real Navy stories.
. . . and literally hundreds more. I should probably have recused myself from writing this piece about Jackson Beck. He's one of my three favorite voice actors of all time--over any medium. 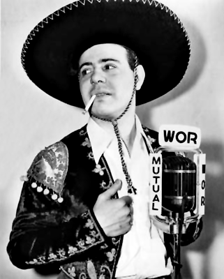 From 'The Cisco Kid', to 'Superman', to 'Philo Vance' and on through innumerable radio, television and film roles, Jackson Beck's voice remains one of the top ten most recognized voices of the twentieth century. The irony is, I doubt that one out of ten people who've heard his voice would know who they'd just listened to. When prompted they'd simply refer to that guy with the deep, commanding voice. Some might say the Philo Vance franchise saved it's most memorable voice of Philo Vance for last. To listen to any of the various iterations of Philo Vance on radio, television or film, it's clear that the role demanded very specific voice presence--clear, commanding, highly literate, capable of long exposition, and above all with a self-assuredness bordering on cocky or arrogant. A New York City native from birth, Jackson Beck epitomized the stereotypical, cosmopolitan, big-city, impeccably dressed, know-it-all New Yorker of legend. But his versatility as a voice talent always showed a commanding ability to capture the complete attention and imagination of the listener, no matter the medium. 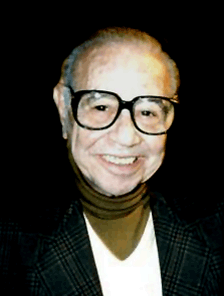 During a career spanning almost 69 years Jackson Beck lent that commanding, compelling, reassuring voice to thousands of radio episodes and literally hundreds of film and television projects. 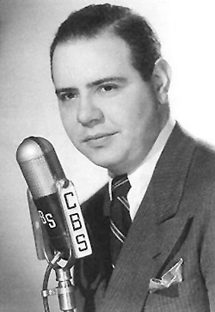 Indeed, The RadiGOLDINdex site cites almost 1,400 individual entries in it's database for Jackson Beck appearances in Golden Age Radio era episodes. Always in demand, Jackson Beck never wanted for work his entire career. Both a quick study, as well as a versatile ad-libber and expositionist, he rarely--if ever--broke character, and built a long-standing reputation as one of the rocks of the industry. From roles as fanciful as Walt Disney's 'Prince Charming', and 'Brutus' or 'Bluto' from the Popeye series', to the weightiest narrations of serious, patriotic documentaries, his delivery was always spot on, commanding, rivetting, and most of all--memorable. I've always felt his work on Philo Vance was some of his best, especially given the sometimes overly long expositions that were part and parcel of most episodes. But that was one of his great talents, and it was perfectly applied to the Philo Vance character. But his work on Man Behind The Gun is probably universally recognized as his most critically acclaimed series of performances. Jackson Beck was interred in Brooklyn, next to his father, Max Beck, a former silent film actor in his own right, and his grandfather, Joseph Beck, an emigre from Saxony, who founded the Joseph Beck and Sons Distillery. He's already dearly missed, but thousands of his admirers are diligently working to ensure that his body of work will never be forgotten. Birthplace: Mount Vernon, New York, U.S.A.
DELRAY BEACH, Fla.  Larry Haines, who won two Daytime Emmys for his 35-year role on the soap opera “Search for Tomorrow,” has died. He was 89. Haines, who also had a successful career on Broadway generally billed as A. Larry Haines, died July 17 at a hospital where he had been admitted a week earlier, his attorney and friend, Tom Dachelet, said Wednesday. Stu was the neighbor and best friend of Joanne Gardner Barron, later Joanne Tourneur, the character at the center of most of the show’s plot lines. 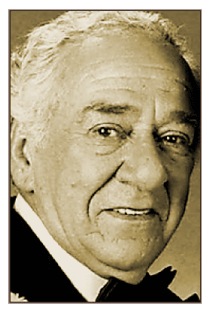 He won his Daytime Emmys in 1976 and 1981. 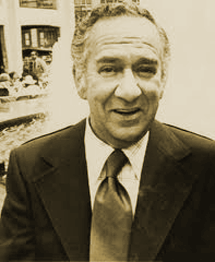 In 1985, he was presented with a special recognition award for his longevity on the series. Haines was twice nominated for Tonys, for “Promises, Promises,” the 1968 musical version of the film “The Apartment,” and “Generation,” a 1965 play starring Henry Fonda. opened with the sound of a creaking door.